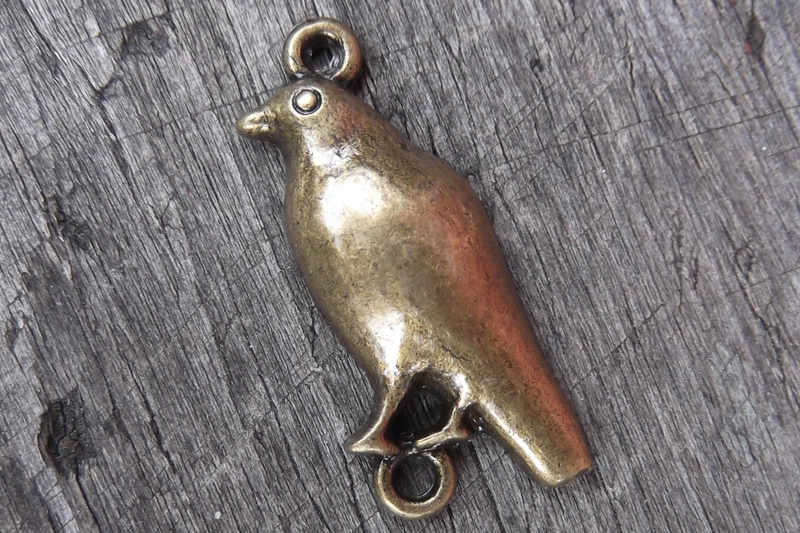 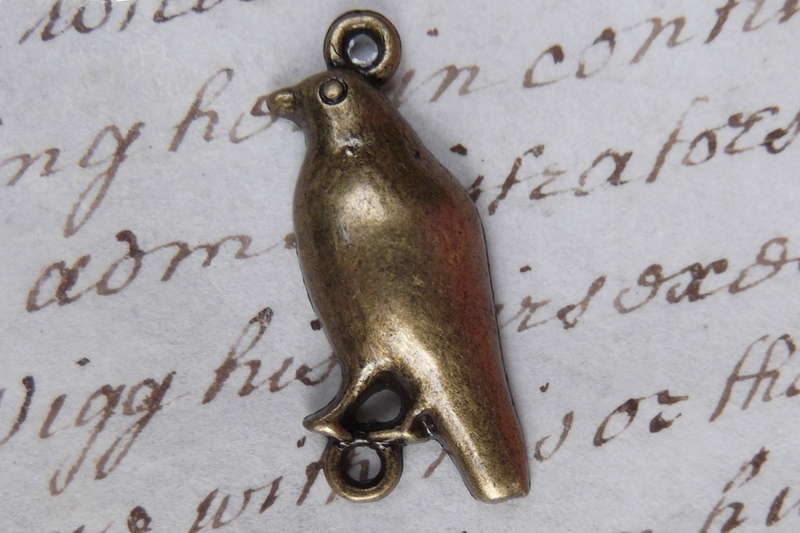 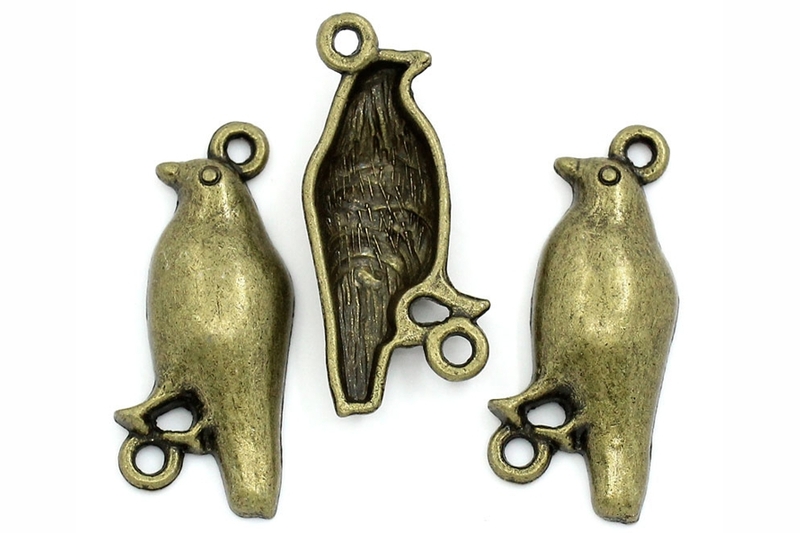 Our antiqued bronze crow connector will never fly off with whatever you ask it hold for you. 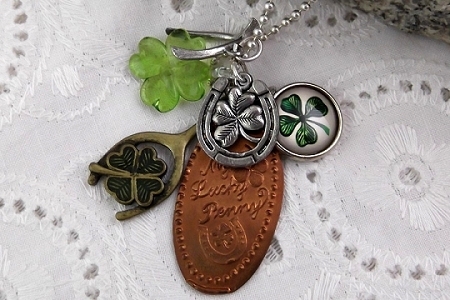 Instead, it will help you to show off what it is holding. 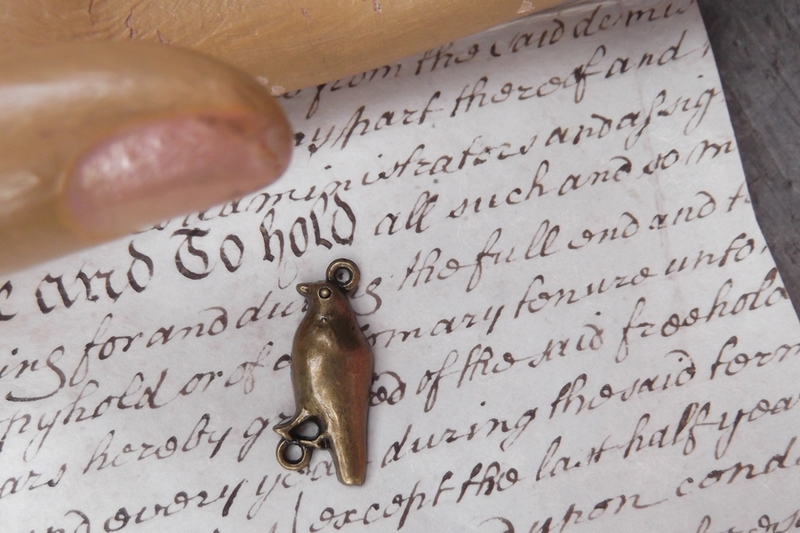 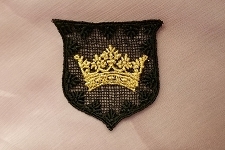 It measures 1-1/8 inch tall (including loops) by 7/8 inch wide.